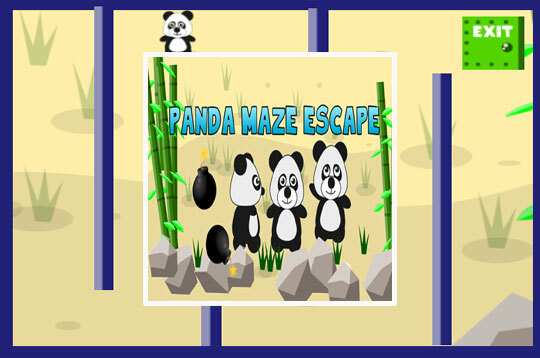 Eg Panda Escape is a very fun Maze Game! Your goal is to help the three cute pandas free themselves from a maze that is full of dangers! Be very careful with the saws and bombs you encounter along the way and collect all the keys to unlock the locks. - Play Eg Panda Escape Free and Enjoy!